'97 4.0, 5 speed. Let the build up begin. Just how I bought it. Have the engine, trans and t-case with it too. Nothing like digging right into it. Last edited by TJontherox; May 20th, 2018 at 08:49 PM. 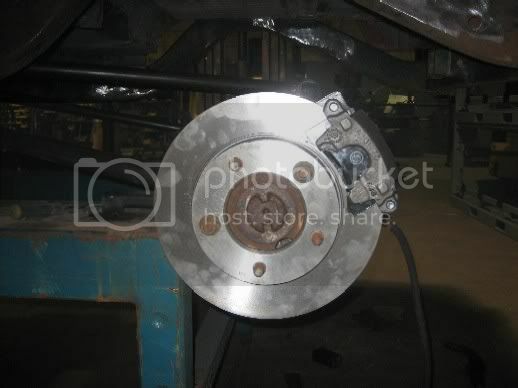 Front bumper/winchmount. The rings on the bumper will be cut off, I used them to hang a shackle on for recovery use. Now I'll make a warn style receiver mount shackle. 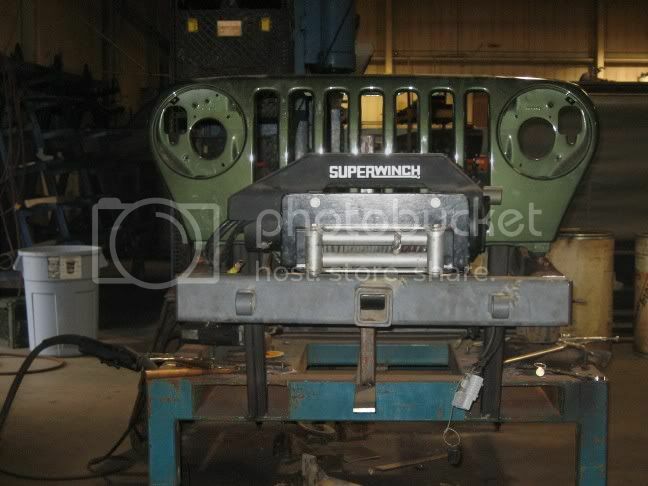 the fairlead and drum is on center so the rest of the winch is a little off center. Last edited by TJontherox; August 20th, 2006 at 09:06 PM. Thanks man. I have some of the suspension stuff all mocked up and tacked into place. I will be making my links next and trying to cycle it somewhat to see if it will bind. It should work out just fine though. I would like to thank Johnny J for leaving me his rig for ideas/inspiration. It has been helping out a lot. Yeah thats my dads metal fab shop, 12,000 sq ft with all the tools I need. I have been friends with Johnny J for a number of years now and its not really that big of a deal that he left it here for me, but wanted to send out a thanks to him anyway. whatya thinking as far as the body goes ? looks like a different grille perhaps ? 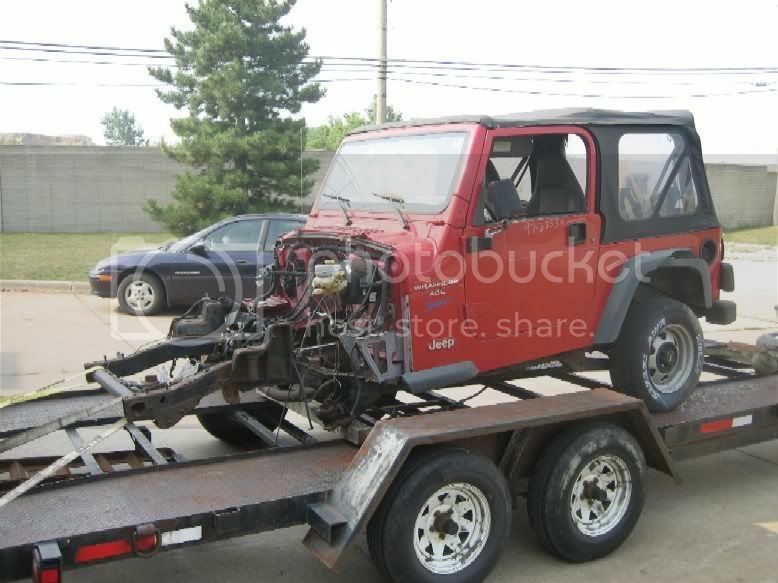 Gonna go with Jeep body with tube front fenders and comp cutting the rear. 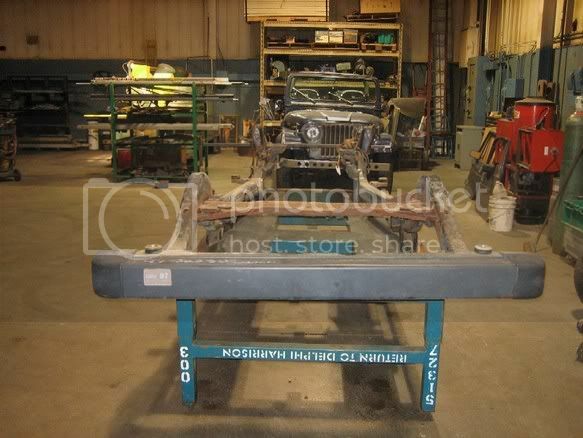 The Jeep was in a front end collision and the frame was tweaked a couple inches diagonally out of square and obviously the front end sheetmetal was damaged. I bought a new grill from someone on the board here and I put it on the frame for clearance for the winch, a brand new hood is on the way also. I used a rack we had at the shop to make a fixture to square the frame back up and I'm leaving it on there till I'm done cutting/welding on the frame. I will post more pics of progress tonight maybe. Last edited by TJontherox; August 20th, 2006 at 09:11 PM. Looks pretty freakin' sweet!!!! Can't wait to see the final after pics. I put some sleeves through the rear bumper to run half inch bolts through it so I can bolt something on it in the future. 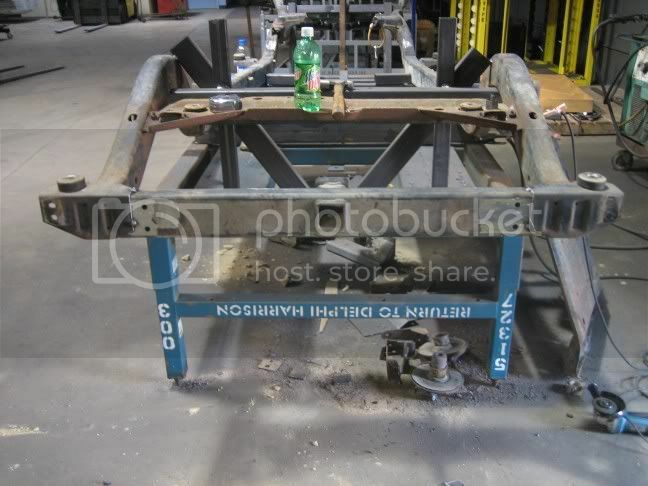 I don't have plans to put anything on it but wanted the option to maybe bolt a swingout spare tire carrier on it someday. Just trying to keep from having to cut/weld after the rig is built. 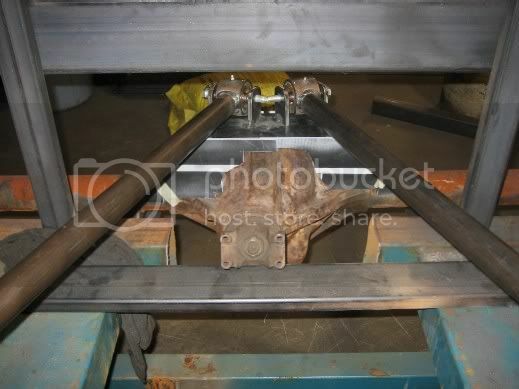 I counter sunk into the tube bumper to get a good weld on the sleeves then ground them smooth for a flat finished face. 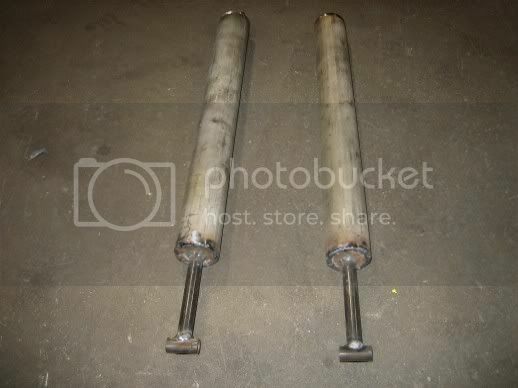 The bumper tube is 2x4 1/4 wall tube. 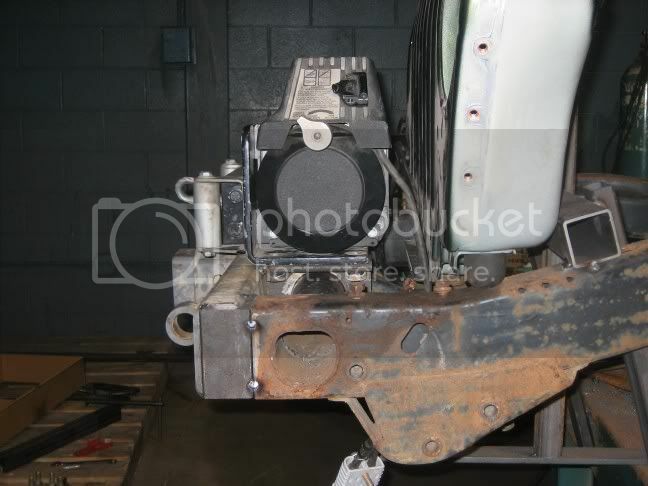 The reciever in the rear bumper is run to the inside of the frame to not have anything sticking off the rear bumper to get hung up on rocks. 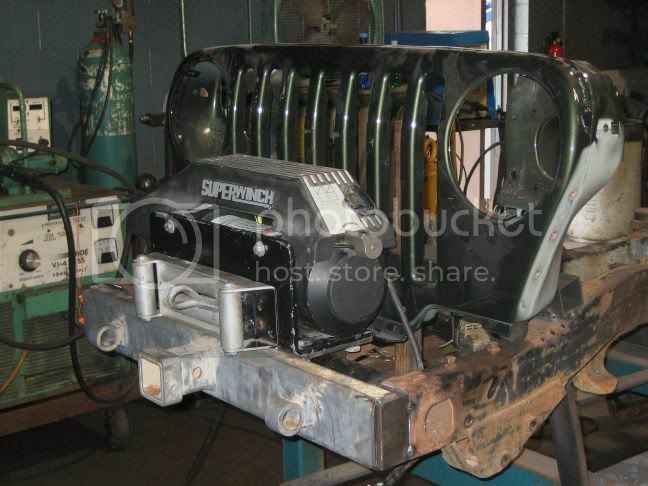 I'm going to be running a fuel sell behind the rear seat so the hitch will not interfere with the stock tank. 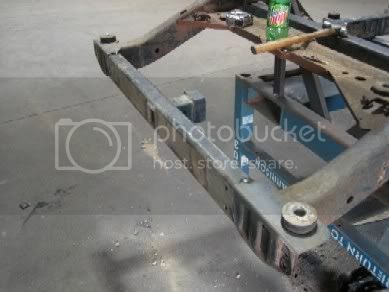 Also got my frame link mounts tacked up and positioned into place. Last edited by TJontherox; August 20th, 2006 at 09:09 PM. Looks good Ryan. Looks like you're moving along pretty quick. 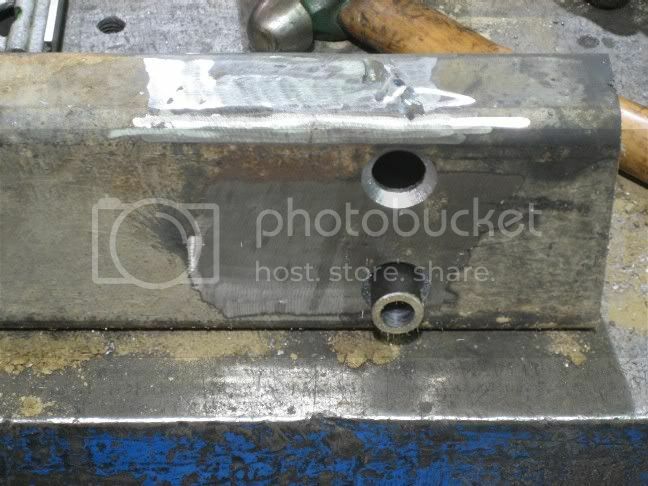 Are you gonna have to notch the skid plate on the driver's side? If so, and you haven't notched that one yet, then I've got the one from Mike in the garage. It's pretty straight still, so you could sell of that one if it's in good shape. It's supposed to 104* here today. We went tubing on the Salt River yesterday. Lots of scenery. Top view of my 4-link. 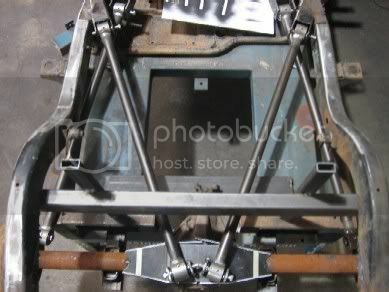 The lower links can't be mounted cuz the rack that the frame is sitting on won't allow the lower links to get centered on the axle. 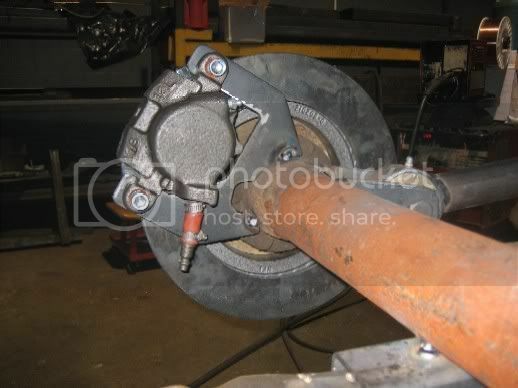 I have to wait to get the frame on jackstands to make my lower link mounts on the axle end. Pic of the rear of my bridge. 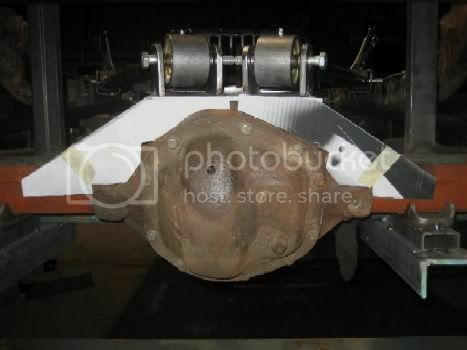 The links are mounted to a 1/4 thick plate that is bent to clear the pig. The white pieces are my templates for boxing in my bridge. Front view of upper link mounts and bridge again. Last edited by TJontherox; January 16th, 2007 at 11:34 PM. Last edited by TJontherox; January 16th, 2007 at 11:22 PM. Last edited by TJontherox; January 16th, 2007 at 11:40 PM. Good to see you working on it again. 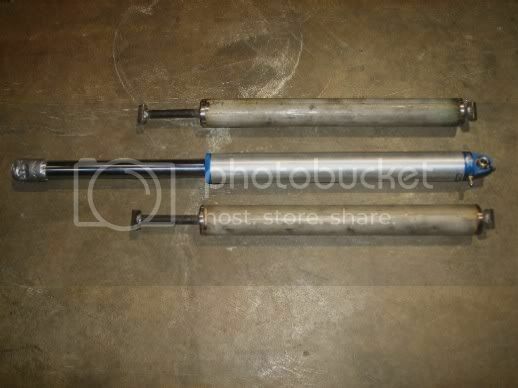 Are you cutting into the tube to fit the rear shocks? 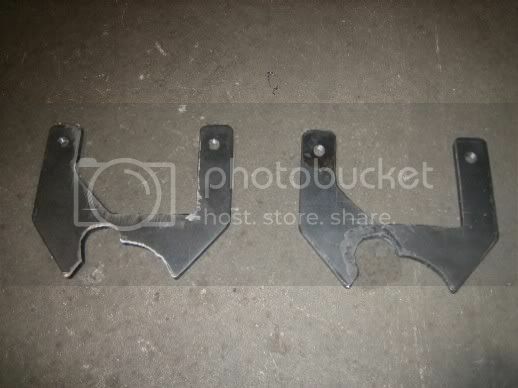 I have already cut out the wheel wells. 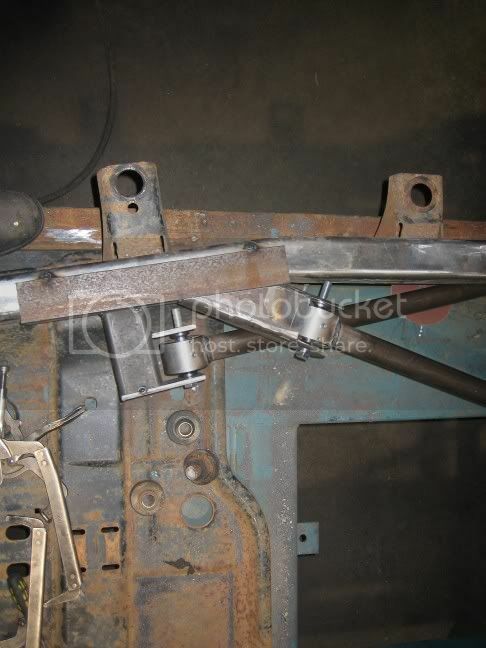 I am going to cut and section the frame to make the arch for the axle clearance centered over the axle again and about 2 ft higher to mount the shock directly under the frame rail. 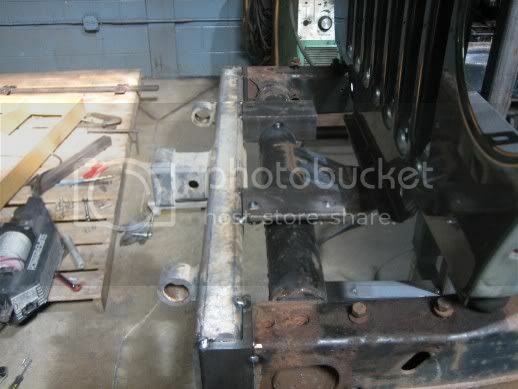 The frame will drop down a little in the back again to catch the bottom rear corner on the cage. 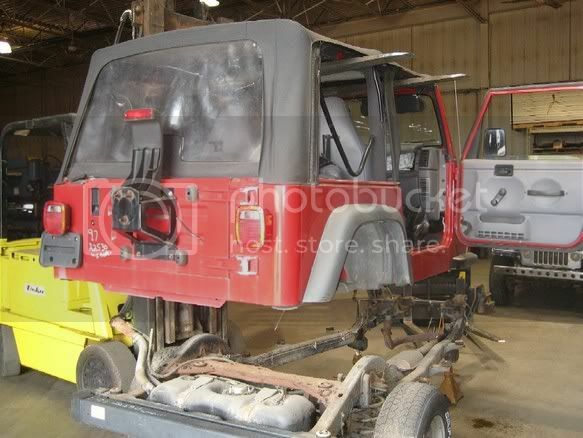 It should allow me to keep a rear seat, and also let the frame support my suspension. I thought about using the cage to support my suspension but since I can't afford to buy the DOM to make a cage and the factory cage isn't strong enough I will hold off on it. Puting the shock under the frame will put the shock about 4" away from the tire. The shock will be mounted on the end of the axle tube and should tip in toward the top about 10* and straight up and down front to back.